Mahesh Babu's fans are in for a treat. 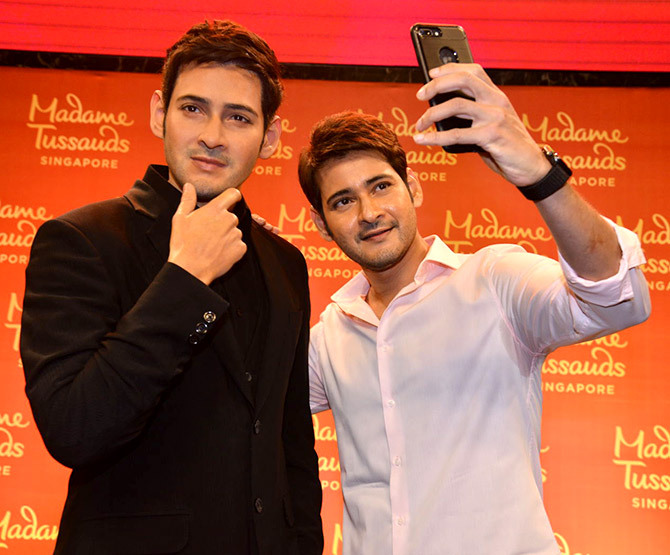 A waxwork of the Telugu superstar traveled from Madame Tussauds, Singapore, to the AMB Cinema in Hyderabad. 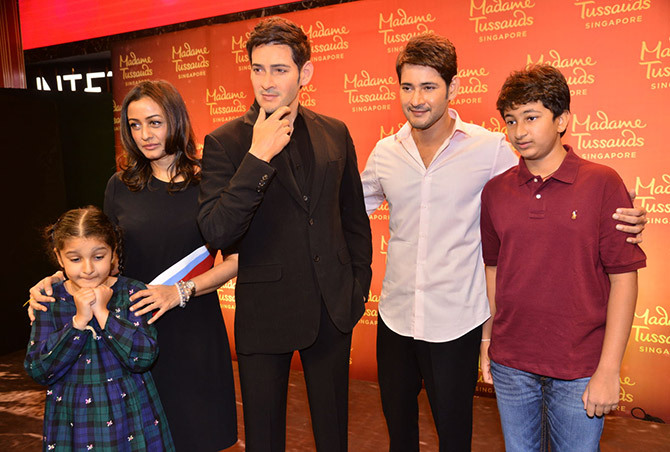 Mahesh unveiled his wax version, accompanied by his gorgeous wife Namrata Shirodkar and their children, Gautham and Sitara. 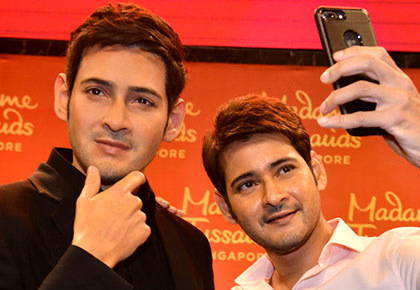 Mahesh's waxwork will now return to Singapore for public display. Think there's a good resemblance? Take a good look and tell us in the message board below. Mahesh will be seen next in Maharshi, in which he plays a college-going boy. Releasing on April 5, it's the 25th film in his career. This is the first waxwork of a Telugu actor in Singapore, and it took six months for 20 people to create it. Mahesh and Namrata chat before going up on stage. 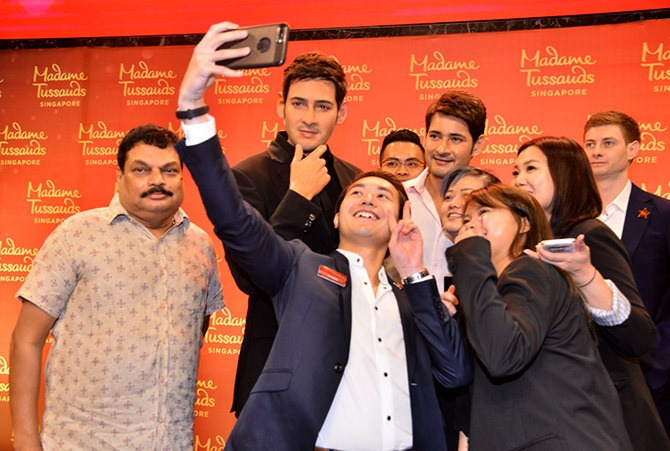 Mahesh has a huge fan following across the world. Some of them get lucky enough to grab a selfie with the superstar.